You want your plants to do more than survive; you want them to thrive. Assess your property for drainage problems. It's a rare property that doesn't have at least one drainage quirk, even if it's a gutter that creates a huge pool on the sidewalk after a heavy rain. Some quirks are simple to fix (in this case, shifting the direction of the downspout or adding an extender piece). But a large, consistently moist area should alert you, this is no place to install plants that prefer dry soil (such as artemsia, helleborus and sedum). Conduct soil tests. 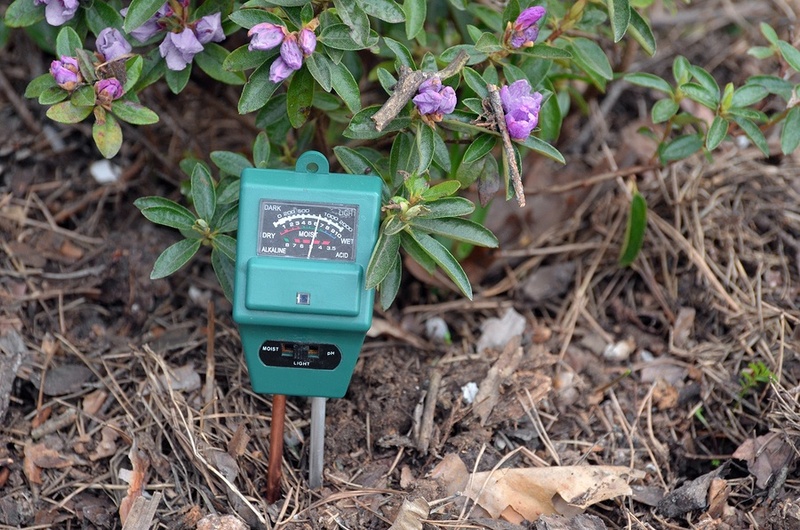 Purchase a kit from your favorite home improvement store to get an immediate reading on your soil's pH and nutrient levels. You'll learn, for example, pH is measured on a scale of 1 to 14, with 7 considered neutral; anything above 7 is deemed “sweet” while anything below is considered “sour.” The point of the exercise is to find out which plants will most likely thrive in your soil, without adding any supplements. Consider natural plants. Take a cue from plants or shrubs that wilt and die no matter what you do. Rather than continue to wage a losing battle, this area may be prime turf for natural plants. Ornamental grasses, groundcovers and other natural plants can enjoy a competitive edge because the seeds come from the “same or similar environmental conditions as the site of the planting.” If you're accustomed to a crisp, sculpted look, natural plantings may look initially wayward. But remember, they can be trimmed, and they can be blissfully low maintenance (and even no maintenance), too. Make a list of your favorite plants. Equipped with a better idea of your property's drainage issues and soil conditions, you'll be prepared to clear the subjective hurdle of selecting plants. Let the Southern Nevada Water Authority lead the way. You can browse by plant, plant name or, if you're stuck for ideas, plant type (such as those that grow high, grow wide, require more water or bloom in a certain color). Make shading a breeze with ZipRite shades from Polar Shades. These shades also are well suited for container plants and trees, which lose moisture at a much faster rate than those planted in the ground. ZipRite shades cover areas up to 14 feet long and 18 feet wide, making them ideal for patios, decks and sunrooms. Because the hardware is available in five different colors – bronze, camel, sand, tan and white – they can complement virtually any décor. ZipRite shades provide insulating protection not only from the sun, but also from bugs and pests that can undermine the health of plants. Ready to transform your patio with ZipRite shades? Make an appointment for a free in-home consultation – and make these exterior patio shades part of your “survive and thrive” plant strategy. Call Polar Shades at 702-260-6110 to get started today.